Gardeners are not being offered enough peat-free composts while eco-friendly growing media is often more expensive, a study has claimed. 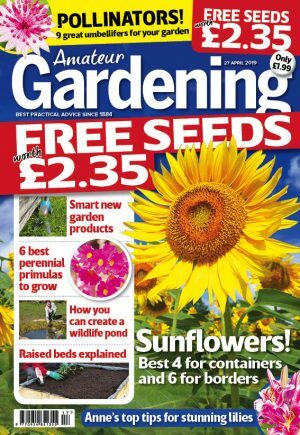 A group of 238 volunteers for Friends of the Earth, Plantlife, RSPB and the Wildlife Trusts mystery shopped at garden centres and found that just 19 per cent of almost 1,300 products on sale were clearly labelled as peat-free. A third of researchers couldn’t find any peat-free compost for sale. Campaigners say peat bogs are vital resources for wildlife. The government wants UK gardening to be peat-free by 2020, but this is a voluntary target. The study found that peat-free compost was more expensive than peat-based options. Green groups claimed there was “often little awareness or concern about the impact of peat among retail staff”. Environment groups are now calling on the government, and the gardening industry, to “take determined action, and urgently, to protect peatlands”. They claim that, in UK gardening, more than two million cubic metres of peat was used in 2015. However, sales of bagged peat-free compost increased from 5.9 per cent of the market in 2011 to 9 per cent in 2015. Peat still accounts for more than half of the material used in bagged composts. While peat harvesting at British bogs has declined, campaigners say that gardeners’ appetite for peat is degrading bogs overseas. In 2015, more than half of our peat came from the republic of Ireland and seven per cent from Europe; primarily the Baltic states. Around 700,000 tonnes came from Scotland, England and Northern Ireland’s peat bogs.